Slowly heat up 1 1/2 cup of water with kombu over low heat. Remove kombu right before the water boils. Put several pods aside. Remove remaining edamame out of pods. Remove thin layer inside as well. 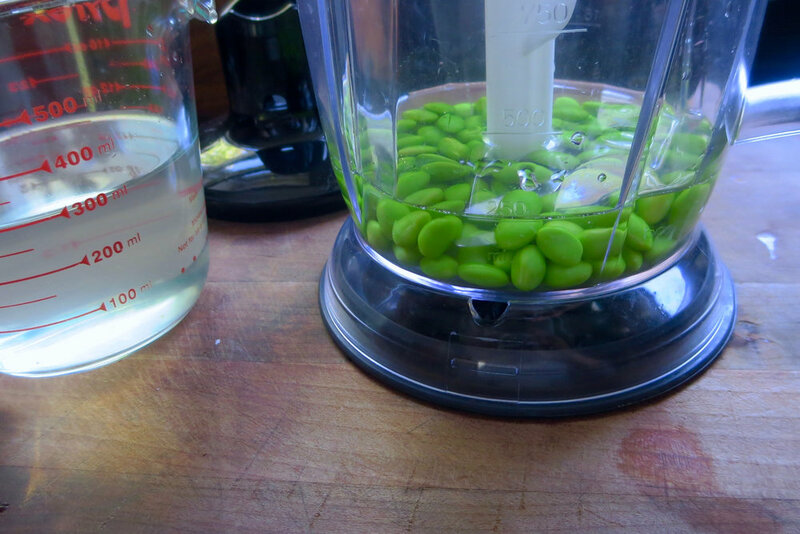 Add edamame and half of kombu broth in blender and puree until smooth. Heat mixture in a pot. Add remaining broth and olive oil. Stir constantly. Season with salt. Top with un-pureed edamame. Serve hot. Half Bag of Edamame Left?